DjangoCon 2018 attracted attendees from around the world, including myself and several other Cakti (check out our DjangoCon recap post). 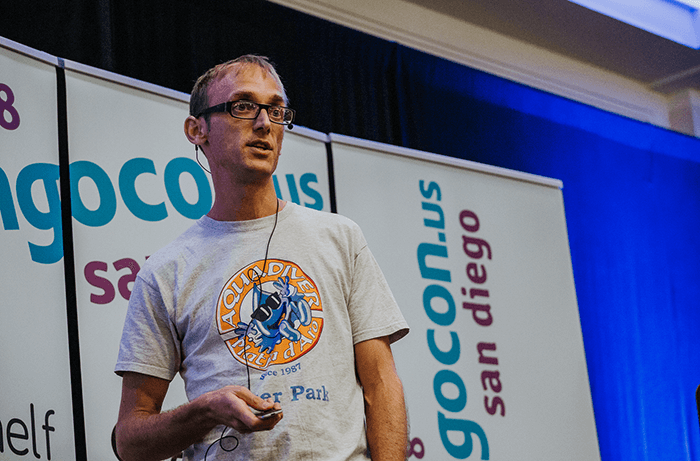 Having attended a number of DjangoCons in the past, I looked forward to reconnecting with old colleagues and friends within the community, learning new things about our favorite framework, and exploring San Diego. While it was a privilege to attend DjangoCon in person, you can experience it remotely. Thanks to technology and the motivated organizers, you can view a lot of the talks online. For that, I am thankful to the DjangoCon organizers, sponsors, and staff that put in the time and energy to ensure that these talks are readily available for viewing on YouTube. While I listened to a lot of fascinating talks, there was one that stood out and was the most impactful to me. I also think it is relevant and important for the whole Django community. If you have not seen it, I encourage you to watch and rewatch Carlton Gibson’s “Your web framework needs you!". Carlton was named a Django Fellow in January of 2018 and provides a unique perspective on the state of Django as an open source software project, from the day-to-day management, to the (lack of) diversity amongst the primary contributors, to the ways that people can contribute at the code and documentation levels. This talk resonated with me because I have worked with open source software my entire career. It has enabled me to bootstrap and build elegant solutions with minimal resources. Django and its ilk have afforded me opportunities to travel the globe and engage with amazing people. However, in over 15 years of experience, my contributions back to the software and communities that have served me well have been nominal in comparison to the benefits I have received. But I came away from the talk highly motivated to contribute more, and am eager to get that ball rolling. Carlton says in his talk, “we have an opportunity to build the future of Django here.” He’s right, our web framework needs us, and via his talk you will discover how to get involved in the process, as well as what improvements are being made to simplify onboarding. I agree with Carlton, and believe it’s imperative to widen the net of contributors by creating multiple avenues for contributions that are easily accessible and well supported. Contributions are key to ensuring a sound future for the Django framework. Whether it’s improving documentation, increasing test coverage, fixing bugs, building new features, or some other aspect that piques your interest, be sure to do your part for your framework. The time that I am able to put toward contributing to open source software has always supplied an exponential return, so give it a try yourself! Watch the talk to see how you can contribute to the Django framework.